Thank you to Louise for printing them! So, Why Should We Help Feral Cats . . . . 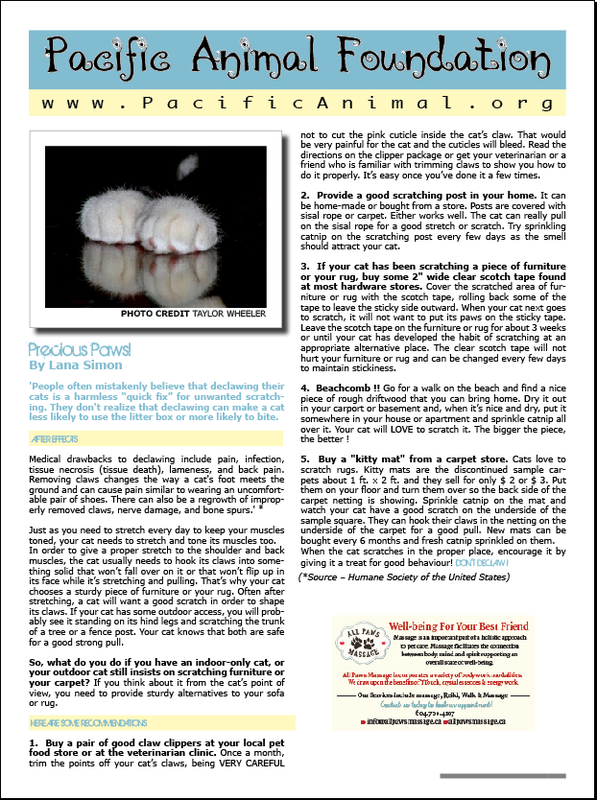 Precious Paws - Don't Declaw!